Our random winner for Challenge #30 - "Anything Lace", is #1, Cathrine. Congratulations! You are the winner of our CropStop Store $15.00 Gift Certificate! Please contact us at the address under the "contact" tab in the blog sidebar so that we can get your prize to you! 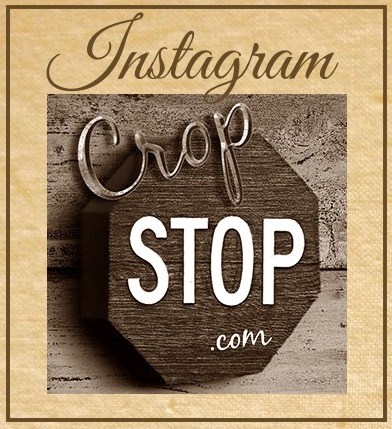 The CropStop Creative Team has chosen 3 winners for the "Cream of the Crop" blog badge. The winners are... #9 - Pasja Kati, #16 - Carina, and #17 - Mandy! You can claim the Cream of the Crop Badge by right clicking on it to save it to your computer and upload it to your blog! Thank you to everyone that played along with our "Anything Lace" Challenge! This week the CropStop Challenge Blog brings you a "Sketch Challenge" ! You could be the winner of a CropStop Store $15.00 Gift Certificate. Oh that's surprise. Thanks very much.